The Elstead Lighting Aldora Island Light Evokes A Feeling Of Warmth And Sophistication. 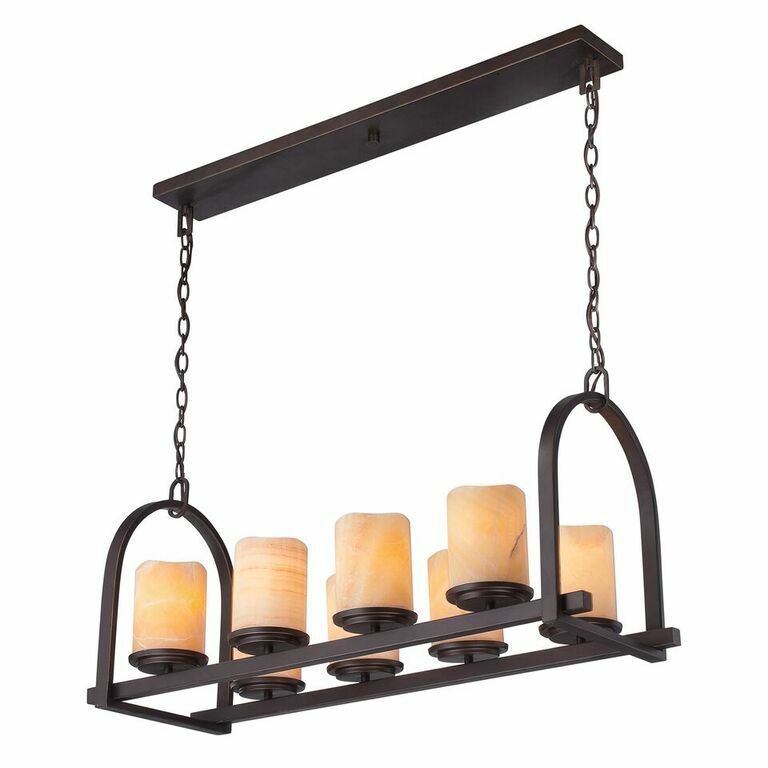 The Aldora 8 Light Linear Ceiling Light By Quoizel Lighting Has Yellow Onyx Stone Shades Cut To Resemble Candles Which Compliment The Palladian Bronze Finish Of The Open-Structured Cage Beautifully. The Quoizel Aldora 8 Light Island Linear Ceiling Pendant From Elstead Lighting Is Sure To Become The Centrepiece Of Your Home Decor.